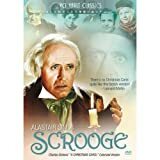 A ruthless business-woman and shopping store owner Elizabeth “Ebbie” Scrooge is taught the true spirit of Christmas by three Spirits who visit her. Will Ebbie be shown this year on Lifetime? When? I realize that your scheduling is a bit difficulty with all of the new movies added to the list, but these 3 movies are specifically charming & lends the true meaning of Christmas to adults and children. I would appreciate knowing the answer to my question. Will Ebbie be on this year? I love that movie. It’s one of my favorite christmas movies. It is such a touching story. Please bring it back on…..Thank You! Any word on it airing in 2017? I’m watching Ebbie on YouTube because I can’t find it on anywhere else. This year is a year since my mother has passed away and the the 2nd Christmas without her. We use to watch Ebbie religiously every Christmas. Since this will be another year without her, I would love to watch it like we use to. Me too, don’t remember seeing it on last year. I really like this movie. I loved this movie. I looked for it on DVD for years. I got a copy immediately when they finally released it. Their marketing folks really dropped the ball on this one! it was on this morning on UP! Awww man I was on a cruise. Just got back yesterday. I’m so hurt right now! Although I can watch every version of the Dickens’ classic “Carol” (including the Muppet one!) – there is something about this one; I think it’s the only the second time I’ve see a strong woman in a Christmas movie (First would be Maureen O’Hara in Miracle on 34th Street). We all need redemption, we all need to give more, share more; it’s just the fact that when it’s portrayed by a male actor, I think it’s ok that he’s single and driven – vs. a woman. For the record, this a never married, 45 year old, career driven woman. And I am going to change! Please show Ebbie this year. I watch every year. Also, what channel is INSP on Time Warner??? Thank you Ms. Claus. I’ve been checking religiously, however, I still haven’t seen a listing for Ebbie which totally saddens me. PLEASE air Ebbie this holiday season. It’s the most enjoyable of all the Christmas Carol “wannabe’s”. PLEASE DON’T TAKE ebbie OFF. i LOVE TO WATCH HER AND THE WONDERFUL CHARACTER SHE PLAYS! Please air! Love this movie! I love this spin on a Christmas Carol! Haven’t seen it on t.v. for quite a few years so was thrilled when I found it on dvd. Purchased several copies for myself and my siblings! Thank you for the info Mrs. Claus! I love this movie, and search for it every year. I googled when it would be on this year, and found this exchange. May The Lord bless you. What the h’ll is INSP? why can’t this be on a channel that people actually get??? INSP is The Inspiration Network. On DISH it is channel 259, and on DirecTV it is channel 364. I have cox cable and I love this movie. I looked for it last year and didn’t see it. What’s Susan Lucci’s number, maybe she can get them to play it. Lol!